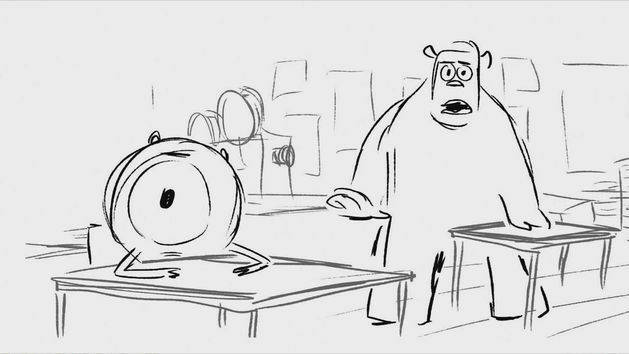 See the storyboard for the deleted scene Movie Night, presented by director Dan Scanlon. Pixar takes fun seriously. 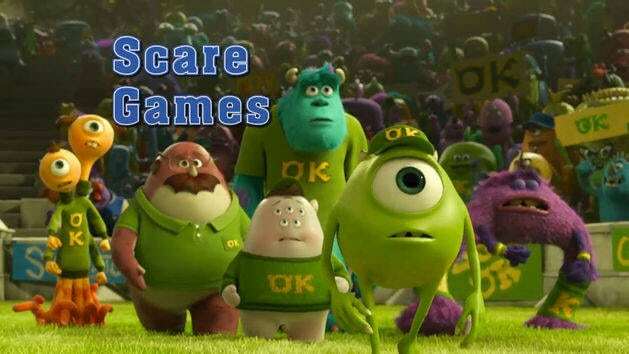 See their version of the Scare Games from Monsters University. Watch Mike and Sulley go to college in Disney Pixar's Monster's University Blu-ray™ Combo Pack. 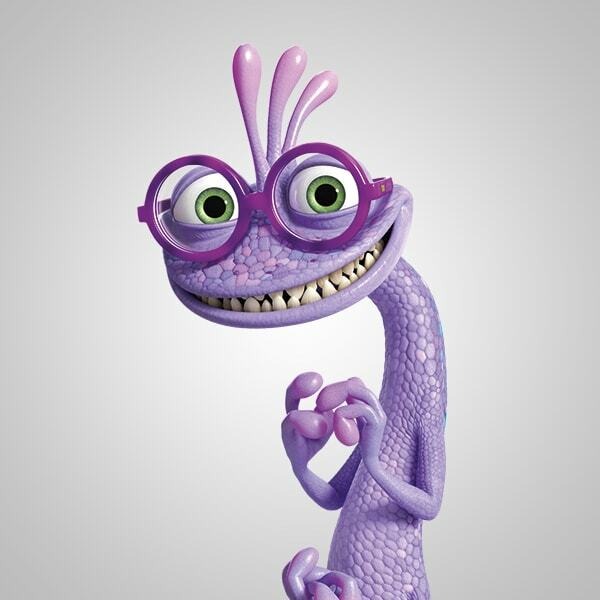 Mike Wazowski’s lifelong dream is to become a Scarer at Monsters, Inc.—and he’s sure he knows just how to do it. 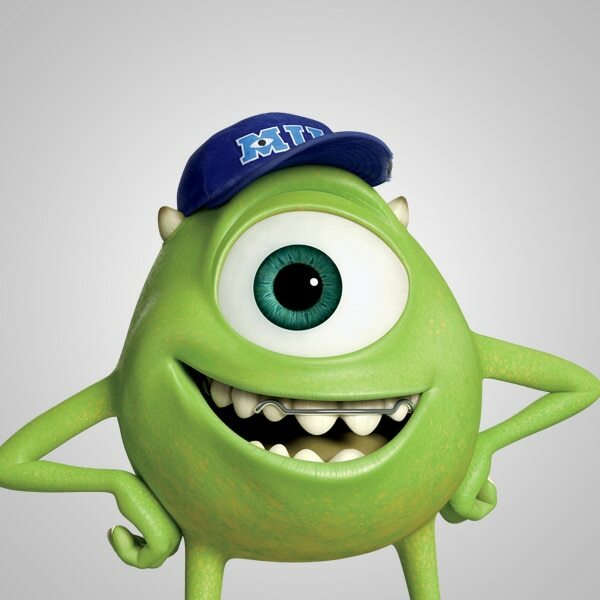 Ever since he was a young monster, Mike’s had his eye on Monsters University, home of the world’s top Scare Program. Now a freshman and hopeful Scare student, he’s well versed in the rich history, theory and technique required to reach his goal, and the little green one-eyed monster has more confidence, enthusiasm, determination and heart than all of his classmates combined. But unexpected roadblocks derail Mike’s plans and he’s forced to team up with a group of misfit monsters and an unlikely ally to give it the old college try and pull off the biggest coup in the University’s history. 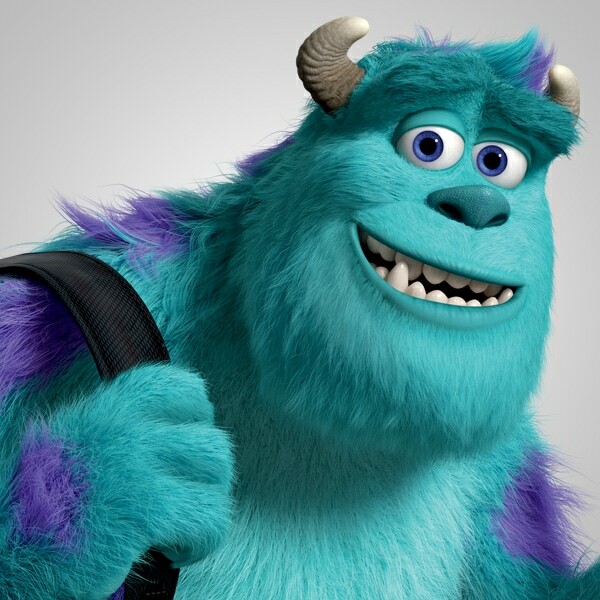 When it comes to Scaring, Sulley’s a natural—his abundant size, fierce roar and family legacy of a long line of high-achieving Scarers make him a shoo-in for the esteemed Scare Program at Monsters University. But from the moment the overly confident monster steps his big furry feet on campus, it’s clear he’d rather crack jokes than books—and he learns the hard way that his unfettered talent and family ties can only get him so far. With his ego bruised and future in jeopardy, a stubborn Sulley must put his pride aside, team up with an odd bunch of misfit monsters and actually work if he wants to live up to his true Scaring potential. Monsters University freshman Randy Boggs has big aspirations for college life. The peculiar lizard-like monster with his host of gangly arms and legs plans to major in Scaring and lead an active social life filled with fun, friends and fraternity parties. If only he could get his embarrassing disappearing habit under control, he’d be good to go, because how is he ever going to be a great Scarer if nobody can see him? The ultimate free spirit, Art is a mysterious monster with a questionable background. By far the strangest member of the Oozma Kappas, Art bowls over the competition—sometimes literally—with his unique dexterity and wild-card ways. Nothing is scarier than the unpredictable, especially when it comes to this furry ball of bad. Collect all the college-themed items around campus to help them get through their first week of school! 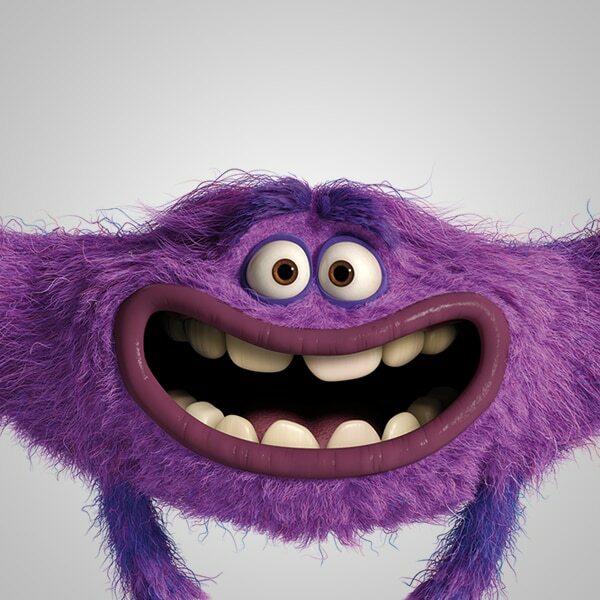 Serve up monstrous breakfast items to the hungry students of Monsters University! Relive Mike and Sulley's college adventures!